Here at SpotMeBro, we love a bargain. Who doesn’t, right? Not all of you are made of money, but you still deserve the best products on the market – to help you nail that bikini beach body or 6-pack physique. For this reason, we’ve found the best deals on supplements available. But be sure to grab them while stocks last! 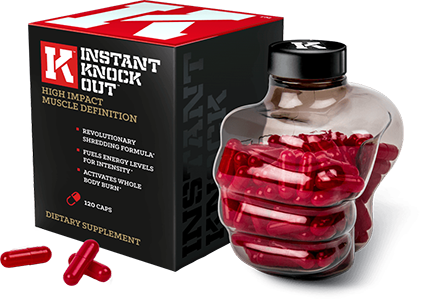 Once upon a time, Instant Knockout was originally only available to professional boxers and MMA athletes. However, after experiencing success with UFC legend such as Diego Sanchez, Instant Knockout was released to the public – where it’s helped numerous people shred body fat. As you can imagine, it’s not usually the cheapest supplement on the market. But we’ve managed to find you a deal that’s too good to turn down. Best Instant Knockout Deal: Buy 3 Boxes, Get 1 Free! This is by far the best deal we could find, in terms of fat burner supplements. It brings down the price of each Instant Knockout box significantly, making it more affordable for everyone. Check out the full list of best fat burner supplements for men! 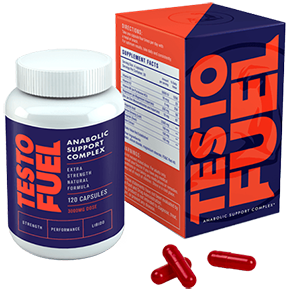 If you’re looking to blast your testosterone levels up and increase your libido, then TestoFuel is your best option. Used by bodybuilding icon, Robby ‘The Black Prince’ Robinson, it’ll help improve your performance in the gym – allowing you to pack-on muscle gains, fast! Best TestoFuel Deal: Buy 3 Boxes, Get 1 Free! TestoFuel is a premium supplement, so it usually comes at a cost. However, they’re offering a limited deal on their website, allowing you to grab 4 boxes for the price of 3! If you enjoy cell-splitting muscle pumps and feeling invincible in the gym, then 4 Gauge is a great pre-workout to try. 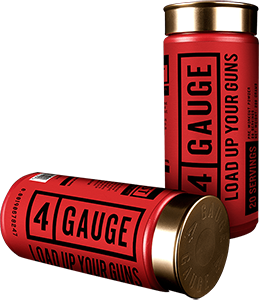 Presented in a shotgun shell, it’s effects are equally as explosive; you’ll find yourself lifting heavier weights and reaching your fitness goals much quicker than before. Best 4 Gauge Deal: Buy 2 Bottles, Get 1 Half Price! For a specialist pre-workout made using only 100%, 4 Gauge doesn’t come cheap. But with their ‘Ultimate Ammo Crate’ offer, you can grab 3 bottles for a seriously reduced price! See Spot Me Bro’s full list of best pre-workout supplements for men!